Mini comic strip for Shirokuma and Penguin! Shirokuma is missing his scarf! He looks so cold without it. The material looks plastic looking like those on the pencil top. Tonkatsu is cuter when he is made in cotton and fluffy. 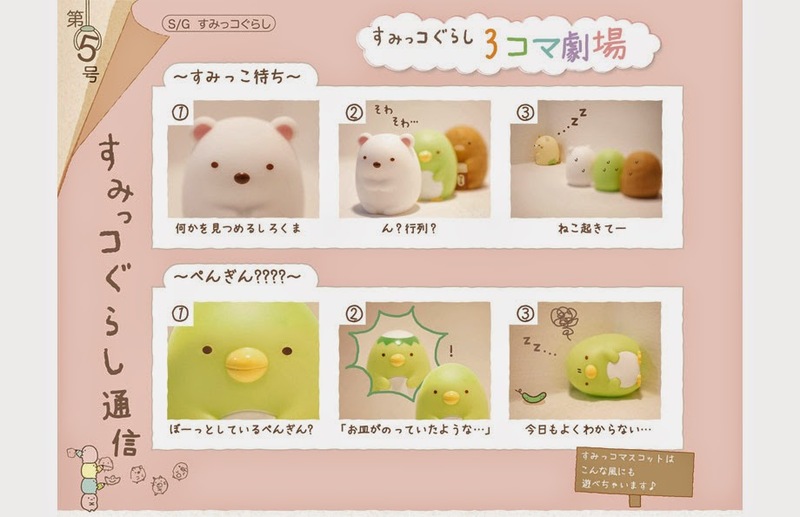 Another popular item from Sumikko Gurashi series! It is the corners of Shirokuma and Furoshiki. You can use this organizing tray to store your remote controls and other daily items (phone or spectacles). Penguin and Neko seems to be more popular than other characters as San-X has been producing more of their items. We would like to see more Tonkatsu-kun though. This has got to be the cutest stationery holder! Apart from the soft and fluffy look, the colors and design/drawing makes everything very unique. It seems like Neko climbed the ladder, peeped down and saw Hokori in it, which made this look so so so cute. 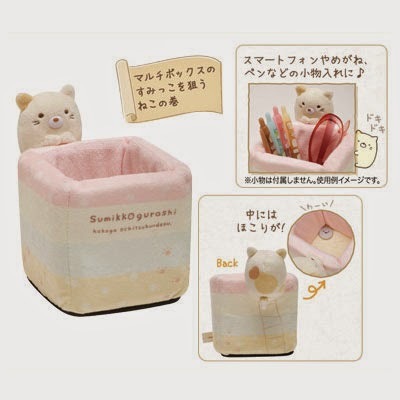 Not sure if they will be releasing stationery holders for other characters but we will continue to keep a look out!